May 2013 | Matcor, Inc. Celebrating the completion of a new manufacturing and headquarters building by hosting an Open House. MATCOR, Inc. the trusted full-service provider of proprietary cathodic protection products, systems, and corrosion engineering solutions celebrated the completion of its state-of-the-art manufacturing plant and headquarters by hosting an Open House on May 29, 2013. The festivities were held at the company’s new corporate headquarters in Chalfont, PA. The new 47,000 square foot building represents MATCOR’s continued growth and success. With this expansion MATCOR continues to grow its manufacturing capabilities in PA to better meet client’s needs, while improving the facilities and the work environment for its colleagues, and by creating jobs and community development within MATCOR’s local geography. The official ribbon-cutting was conducted by Pennsylvania Lieutenant Governor James Cawley, a former Commissioner of Bucks County. “We are honored to have Lieutenant Governor Cawley here to celebrate this important company milestone”, said Jeff Stello, President & CEO. “His participation is extremely relevant because the Lieutenant Governor helped guide the Marcellus Shale Commission for safe and reliable development of shale gas in the Commonwealth”, added Stello. MATCOR is deeply involved in the Marcellus Shale by providing its expertise and Pennsylvania-manufactured corrosion-prevention solutions to the oil and gas industry operating throughout Pennsylvania. For the 100 plus guests, MATCOR provided food and refreshments, tours of the manufacturing facilities, and an opportunity for customers and vendors to meet employees from all departments and across the MATCOR team. Visitors commented on the welcoming and professional feel of the new office space. During the plant tours, visitors were impressed by the manufacturing operation, MATCOR’s focus on quality and safety, and the innovative automated manufacturing processes. Attendees included customers from throughout the region, along with notable public officials from the Commonwealth, local municipalities and counties, and other regional businesses leaders. 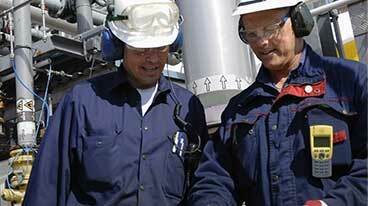 MATCOR is a leading provider of ISO 9001:2008-certified cathodic protection products. Learn more about our services and cathodic protection installation that carry a 10 year guarantee. MATCOR offers the latest insights on anodes for cathodic protection, cathodic protection equipment and more. Crosstex Energy, which in March said it would invest $50 million in two natural gas compressor stations in Noble and Monroe counties, will spend another $25 million for a third facility in eastern Ohio, Youngstown’s Business Journal reports. Crosstex, a midstream energy firm in Dallas, said it would make the investment in its E2 company. The facility, like the others, is supported by a long-term, fee-based contract with Denver-based Antero Resources. The compressor stations are the sort of midstream facilities needed to move oil and gas from well sites to end users such as chemical plants, requisite infrastructure still needed in Ohio’s Utica shale play. MATCOR is a leading provider of ISO 9001:2008-certified cathodic protection products that product compressor stations and many other infrastructure needs within the Utica Shale. Learn more about our services and cathodic protection installation that carry a 10 year guarantee. MATCOR offers the latest insights on anodes for cathodic protection, cathodic protection equipment and more. A large interstate pipeline proposed for transporting natural gas from eastern Ohio’s Utica shale through Detroit and into southern Ontario would run under several communities in the Akron-Canton area. The 250-mile interstate natural gas pipeline would cross Stark County and into the cities of Green and New Franklin in southern Summit County, then into Medina County. It would pass under Wadsworth and Guilford, Montville, Lafayette, York and Litchfield townships. The pipeline’s eastern terminus would be in Ohio’s Utica shale area, although an exact location has not been disclosed. Three companies — Detroit-based DTE Energy, Houston-based Spectra Energy Corp. and Calgary-based Enbridge Inc. — are advancing the project, called the Nexus Gas Transmission system. It carries a price tag of $1.2 billion to $1.5 billion. The natural gas pipeline could be operating as early as November 2016, subject to market demand and regulatory approvals. The pipeline largely would follow existing utility corridors and 50-foot-wide easements the development’s partnership has acquired. It would require the construction of compressor stations and other facilities along the route. The project needs the approval of the Federal Energy Regulatory Commission because it would be an interstate pipeline. That application has not been filed. The project also would require wetlands approval from the U.S. Army Corps of Engineers and the Ohio Environmental Protection Agency. The Ohio Department of Natural Resources would be the primary agency responsible for the state’s review. The new interstate pipeline might be 36 inches in diameter or larger. It would be capable of transporting at least 1 billion cubic feet of natural gas per day — enough to heat about 13,500 houses. The pipeline would connect with other pipelines in northern Ohio, southern Michigan and Ontario. That includes a connection to the 42-inch Vector Pipeline that runs from Joliet, Ill., into Michigan and Ontario and has available capacity. That pipeline is a joint project Enbridge and DTE Energy operate. The new pipeline also could supply large users of natural gas along its route. The pipeline is needed, in part, because it will provide a market for Utica and Marcellus shale gas and would help offset a decline in traditional western Canada natural gas to the Detroit-Ontario area, promoters have said. It would run to the Union Gas’ Dawn Hub in southern Ontario. It also could replace coal as the major fuel at electric power plants in the region. 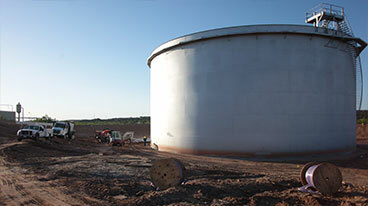 Any facility expansions for the Canadian portion of the connected Vector Pipeline as well as increased import limits would require regulatory authorizations from Canada’s National Energy Board. Additional permits also might be required from other Canadian agencies. MATCOR is a leading provider of ISO 9001:2008-certified cathodic protection products and rectifiers. Learn more about our services and cathodic protection installation that carry a 10 year guarantee. MATCOR offers the latest insights on anodes for cathodic protection, cathodic protection equipment and more.